The Roma community in Fushë-Krujë, with around 1,200 Roma, is one of the most marginalized communities in Albania, located in a ghetto near the city. Despite the existence of a national action plan for the integration of Roma and other ethnic minorities, the integration of Roma and the Egyptian population into society is not a priority on the government’s agenda, so that law enforcement or integrative investments in minority rights are stalled. The main obstacle to more active community participation in resolving their situation is the high illiteracy rate, inadequate education and lack of knowledge of Roma and Egyptian rights and responsibilities. Given the structural difficulties, the role of education is not perceived as an important success factor by many of the target families, what leads to difficulties in accessing the education system because they lack motivation and emotional and material support from the family. Although school attendance is compulsory up to 9th grade, local authorities do not have the capacity to force Roma parents to fulfil this obligation. In addition, the role of women in Roma culture is associated with limited rights and overburdening of duties, particularly in relation to marriage, childcare, and household chores. The marriage of children between the ages of 12 and 14 is still a norm that prevents women from fully participating in society after marriage, as they are not allowed to leave the community unattended. Roma women who are forced to stay at home to care for their families and children have a lack of education and limited knowledge of health, education, rights, and local politics. In addition, a growing number of Roma with intellectual disabilities, ADHD or late development can be observed. The rate of domestic violence in families is increasing and cases of child exploitation are widespread. The children are forced not only to do housework but also to beg on the street and eventually give up school altogether. Our results show that boys are more vulnerable than girls in this respect and that this incision is often in 4th grade. In order to keep children in school, a holistic approach is necessary, which is why we work not only with the children but also with their families and carers from the stateside. The situation differs slightly from that of the Egyptian Community, which has a population of around 150 households and a total population of just over 800. Due to their better integration into the majority population and their linguistic competence in the Albanian language, the Egyptian community did not experience such dramatic changes as the Roma during the transition period to a market economy. Moreover, unlike the Roma, the Egyptians perceive themselves as part of mainstream society, despite the discrimination they suffer. Nevertheless, poor educational attainment and performance have a significant impact on the later employment rate. 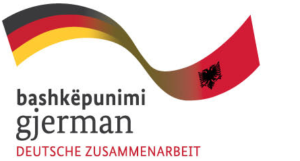 The project Positive Family Environment for Roma and Egyptian Child Education aims to contribute to the integration of Roma and the Egyptian community into Albanian society. Education plays a crucial role in the integration of Roma/Egyptians into the Albanian community – for minors and adults alike. Family background and parental support have a significant impact on children’s education. As a result, the project aims to build literacy, numeracy, and social skills not only for children but also for parents and other family members (grandparents, uncles, aunts, adult cousins).